Taylor Adams is from Ashland, Kentucky. In 2015, she graduated from the University of Kentucky where she received a bachelor's degree in History. Her studies focused on history of the Americas and Appalachian culture. After spending one year living and working in West Virginia, she was called back home to Kentucky where she now serves as an AmeriCorps VISTA at Hindman Settlement School. There she serves as an archives specialist where she works to make Hindman history more accessible to the local community and beyond. Kristina Arnold was born and raised in Arlington, Virginia and received a degree in community health from Brown University. Upon graduation she moved to Nashville to pursue a career in public health, working as a research associate in the department of Preventive Medicine, division of Pharmacoepidemiology at the Vanderbilt University Medical Center. After five years she returned to her first love, attending art school and earning her MFA in painting from the University of Tennessee. Her museum experience includes serving as the assistant registrar at the University of Tennessee’s Frank H. McClung Museum in Knoxville, TN and as registrar / assistant curator at the Parthenon Museum in Nashville, TN. In 2005 she joined the faculty of Western Kentucky University’s Art Department where she teaches and serves as the Gallery Director. Arnold works primarily as an installation artist, with themes drawing conceptually from her former background and interest in public health. She lives in Bowling Green, Kentucky, with her blacksmith husband Charles Hurst, their son Zach, and cats Lizzie, Cleo and Pig. Alexia Ault graduated from Western Kentucky University with her Masters in Folk Studies in 2011. Shortly after graduation Alexia moved to Eastern Kentucky to work on an IMLS grant at the Appalachian Archives, Southeast Kentucky Community and Technical College. In the spring of 2012 she began working with Higher Ground as the prop master for the EKU Talkin’ Dirt performance. Alexia continued to work with Higher Ground while working as cataloger for the Appalachian Archives. In April of 2015 Alexia began working part time at Appalshop for their archive department. Later that summer, Alexia returned to the Appalachian Program to work on It’s Good to be Young in the Mountains as the logistics coordinator. In August she became one of the Americorps VISTAs for Higher Ground, a position that allowed her to continue to serve as the stage manager for Higher Ground. Over the past year Alexia has worked on a variety of projects with Higher Ground including the Crawdad festival, Shew Buddy radio podcasts, George Ellabration, Future Town Throw Down concert, the Storytelling track at Cowan Creek Music School, the Hurricane Gap Community Theater Institute, and the Harlan County RUX gathering. Alexia is currently completing her second year of VISTA service with Higher Ground. She hopes to be able to stay in Eastern Kentucky after her VISTA service ends and continue to contribute to the growth and development of the region. Savannah Barrett is the Director of Programs for Art of the Rural. She is a member of the board of the Center for Performance and Civic Practice and the Robert E. Gard Foundation, has served on the review panel for the National Endowment for the Arts’ Citizen’s Institute on Rural Design and on the Innovation Team for EmcArts’ Community Innovation Lab program, and has widely published essays and interviews. She holds a Masters of Arts Management from the University of Oregon, and is an alumnus of the Muhammad Ali Scholars for Peace and Justice at the University of Louisville and from the Kentucky Governor’s School for the Arts. She previously guided programs for the Center for Community Arts and Cultural Policy, the Louisville Visual Art Association, the Oregon Folklife Network, Paul Paletti Gallery, and Salvo Collective. Savannah is a twelfth-generation Grayson Countian and was raised on a seventh-generation homeplace in Grayson Springs, Kentucky, where she co-founded a local arts agency in high school. She is a proud steward of six acres of her homeplace, but currently lives in Louisville with her partner Joe and their wily beagle, Winona. Mimi Becker graduated from Bellarmine University with a degree in Elementary Education and a Masters in Business Administration. Her education career included teaching and coaching at Trinity High School, Principal of Holy Trinity Elementary School in Louisville, Director of the John Hill Bailey Children's Learning Center in Danville and teaching, coaching and Athletic Director at Burgin Independent in Burgin. Mimi retired from education in June, 2016, and is currently serving as Executive Director of the Arts Commission of Danville/Boyle County. Mimi is also a Project Archaeology Master Teacher. Carrie Billett: Community Listening, Harlan County, Pine Mountain, People, Art, Higher Ground, It’s Good 2 Be Young In The Mountains, Oral History Gathering, Storytelling, Making and Doing, Front Porch Sitting, Bourbon Drinking and more. Ashley Bledsoe is a native of Harlan County, Kentucky. She is the owner of Taco Holler (gourmet tacos and Keto Cakes), the creator of the Portrait Story Project (a wooden box venture using pictures and stories to make mobile art exhibits), and a member of the Higher Ground community. She graduated from Southeast Community and Technical College in 2010 and works at the Harlan Tourism and Convention Commission. Debbie Bourland is the Program Coordinator for the Western Kentucky Regional Migrant Education Program at Madisonville Community and Technical College. She is a licensed cosmetologist and a bilingual educator in Spanish/English. Debbie holds a degree in Interdisciplinary Early Childhood Education and is currently completing a degree in Modern Languages from Murray State University. She has a heart for children and believes they deserve every chance to have a prosperous life, and is a member of Victory Church, a Marching Maroons band booster, and a volunteer in many school districts and community improvement projects. Ivy Brashear is a native of Viper, Ky., a fifth-generation Perry Countian, and a tenth-generation Appalachian. She currently works as the Appalachian Transition and Communications Associate at the Mountain Association for Community Economic Development, working primarily on Appalachian economic transition efforts. Before joining MACED, she worked as a reporter at The Hazard Herald in Hazard. She currently sits on the board of the New Economy Coalition, is a member of the Young Climate Leaders Network, and an alumnus of the Stay Together Appalachian Youth Project. Ivy is working to preserve in oral histories her own family’s canning history, and continues efforts to help shift the narrative of Appalachia and Appalachian culture. She currently lives in Lexington, Ky., with her wife, Courtney, and their dog, Poppyseed, and cat, Jaco Catorius. Jessica Breen is an urban geographer and cartographer specializing in community mapping. Born in Hawaii and raised on the U.S. East Coast and Europe, she’s happy to now call Lexington “home.” She is a fellow with the New Mappings Collaboratory at the University of Kentucky, where her research uses social media and collaborative mapping techniques to understand the role of art and creativity in urban creative placemaking efforts, and is currently the Research Assistant for Mapshop, a mapping and cartographic studio at UK working with students, faculty, and community members to produce maps and visualizations and increase critical mapping skills. A proponent of open source tools and ethos, she’s an organizer with Public Lab and a co-organizer of MaptimeLEX. She holds an MS in Environmental Studies from the College of Charleston and is pursuing a doctorate in Geography at the University of Kentucky. Izzy Broomfield was born in Hyden (back when Mary Breckinridge's Frontier Nursing was still there), currently lives in Whitesburg, and uses gender-neutral pronouns (they/them/their). They are a member of Mountain Tech Media, where they work towards expanding Eastern Kentucky's tech economy by telling important stories in emergent ways. Izzy likes maps and video production and just about anything vaguely new-media related, especially when social impact is involved. They also love to write (especially poetry and essays), and enjoy learning and trying new things. Izzy lives with their two cat friends, who constantly teach them many things about life, the universe, and everything. They look forward to getting to know you in RUX! Chloe Brown is a native of Albany, Kentucky. She is currently pursuing her Masters in Folk Studies at Western Kentucky University, where her academic interests are primarily concerned with the intersections of race, religion, sexuality, and Southern culture. She also completed her undergraduate work at WKU, earning degrees in English and Spanish, as well as a minor in Folk Studies. Last year, she taught English and Creative Writing at Caverna High School. She loves art, literature, hiking, learning, and the Kentucky Wildcats. As a lifelong Kentuckian, she believes in the human potential of the state and in protecting its vast environmental resources. She hopes to see Kentucky become more forward-looking in terms of economic, environmental, and social policy. Paul Michael Brown is the Development Director at Institute 193 in Lexington, and arts non-profit and gallery space dedicated to documenting and preserving the cultural landscape of the American South. He is a native of Daviess County and a graduate of Transylvania University (2012). He has written about art for Art F City, Gayletter, Raw Vision, and UnderMain. His research and curatorial interests involve Southern Art, Outsider Art, and art by queer people and people of color. Landee W. Bryant-Greene is the Executive Director of Maiden Alley Cinema, one of only 4 non-profit cinematic art houses in the state of Kentucky. Begun in 1991 the Paducah Film Society found a permanent home in 2001, bringing independent films to the smart, arts-orientated people of the region. In addition to film the MAC programming slate boasts live music, cult classics, family friendly films and numerous films series that are made possible due to numerous community partnerships. Maiden Alley Cinema is also home to the River’s Edge International Film Festival (2nd longest running film festival in the state), the Paducah 48 Hour Film Project, Maiden Alley Oktoberfest and the MAC Gallery. Landee graduated from Murray State University with a BFA in Photography and Textiles and an MS in Human Development & Leadership (emphasizing in Non-Profit Organizations). In addition to being Co-Chair of the Columbia Theatre Restoration Task Force, she also serves on the Paducah Main Street Board, is the co-owner of Bricolage [bree-kuh-lahzh] Art Collective, is a member of the Art House Convergence and is a leader in the Kentucky Rural-Urban Exchange (RUX) which inspires statewide collaboration between arts, agriculture and small business as driving forces in economic development. Landee was bestowed the title of Duchess of Paducah from Paducah’s Mayor in 2017. Shaylan Clark grew up in Harlan County, and is a current student at Southeast Community and Technical College, where she is active in Higher Ground, Kentuckians for the Commonwealth, and STAY (Stay Together Appalachian Youth). She is passionate about learning new things from new people, visiting new places, being a part of positive changes in her community, and getting other young people involved. Cara Cooper has a Master’s Degree in Environmental Science from Florida International University and has been involved in the environmental movement since 2008. She served two years on the National Sierra Student Coalition’s Executive Committee (2012-2013) as the trainings liaison where she worked with staff and volunteers to streamline and solidify their youth leadership development program. In 2013, she became the state organizer for the KY Student Environmental Coalition and moved to her birthplace of Kentucky. With KSEC she has trained hundreds of people in grassroots organizing skills, helped build dozens of new youth leaders and founded a week-long youth-led leadership and organizing camp, called Catalyst. Cara was also a member of the national Young Climate Leaders Network in the 2016 Cohort. She is dedicated to anti-oppressive organizing, building roots in her community, youth empowerment and organizing for the long haul. Cara has recently started her own grassroots training and facilitation business called Brighter Future Consulting in order to provide access to grassroots skill building to other local organizations and causes. She loves animals, both the mountains and the beach, live music and cooking delicious vegan food for her friends. 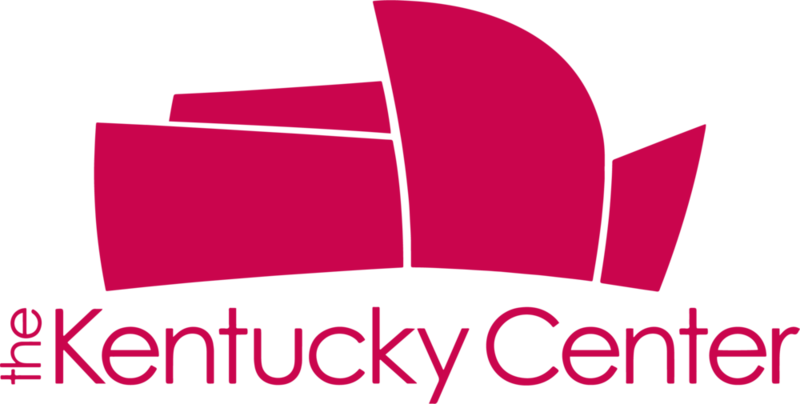 Nick Covault is the Director of Kentucky’s Governor’s School for the Arts (GSA), a partnership between the Commonwealth and The Kentucky Center for the Performing Arts. GSA mobilizes Kentucky’s next generation of creative leaders through an intensive residential summer program for high-school artists, as well as other initiatives throughout the year that cultivate networks, communities, and resources for artistically inclined youth. Previously serving as Programming & Community Engagement Manager for The Kentucky Center for the Performing Arts, Nick’s accolades have included participation in SouthArts’ groundbreaking Dance Touring Initiative, the Emerging Leader Institute of the Association of Performing Arts Presenters, and the Global Fellowship Program of the International Society for the Performing Arts. He was listed as one of Business First of Louisville’s 2016 Forty Under 40 Honorees, and has been named a Compassion Laureate by Compassionate Louisville. Stefani Dahl is a Diagnostic Medical Sonographer at Norton Healthcare, and a native of Evansville, Indiana. She ran a homestead in Elizabeth, Indiana for more than a decade before earning her Associates in Applied Science from Jefferson Community College in 2011, when she began her career with Norton. An avid naturalist, Stefani is a master gardener, lover of the arts and music, hiker, and animal lover. She joined the Kentucky Rural-Urban Exchange in 2014 as pair to an herbalist and Native American healer. She now lives in Louisville, Kentucky with her two cats, Django and Juniper, and her partner Myron. Michelle Eigenheer is a Louisville-based writer, often writing about music, food and bourbon. She is hungry for stories about people and places and how we came to be this way. Published in Louisville Magazine, louisville.com, Thrillist and District of She, Eigenheer was previously a researcher and copywriter for an infographic firm, with clients ranging from L’Oreal to National Geographic. Michelle is a great lover of quiet moments, always looking to learn new things: art, music, technology, food and more. She is in awe of tall buildings, high mountains and rocky shores. Ryan Fenwick is a graduate of the University of Louisville's dual Law and Master's of Urban Planning degree program. He is an attorney practicing in his own firm, where he focuses on small businesses, non-profits, and social entrepreneurs in his adopted home, Louisville. He is especially interested in cooperatives as a way to empower people to build wealth in democratic businesses that respond to community needs. Fenwick grew up on a farm in Water Valley, Kentucky, but had to travel 15 minutes by car to buy groceries. Anita Fernander is an Associate Professor of Behavioral Science and Interim Diversity & Inclusion Officer for the College of Medicine at the University of Kentucky. She received her Ph.D. in Clinical Health Psychology from the University of Miami, has a Master’s Degree in the same and holds two Bachelor’s degrees (one in Physical Education and the other in Psychology). She has lived in various places throughout her life including the Bahamas, Northern & Southern California, Utah, Colorado, Florida, Minnesota, and Alabama. She has lived in Lexington, Kentucky for fifteen years (her longest tenure of anywhere). Her passion is examining and eliminating health disparities among disparate and marginalized populations and promoting diversity and inclusivity. She is Founder & Chair of the Lexington-Fayette County Health Disparities Coalition. Elana Scopa Forson is from Harlan County in southeastern Kentucky and is an Associate Professor Biological Sciences at Southeast Kentucky Community and Technical College. She has been working with the Higher Ground Group for over ten years. Elana is also a volunteer with the Empower project that collects and supplies pads and tampons to middles schools around Harlan County. Jason Forson is an Assistant Professor of Physics and Astronomy with the Southeast Kentucky Community and Technical College. Born and raised in Kansas City, Missouri he moved to Cumberland, Kentucky after getting his Masters of Science in Physics. There he's been educating Kentucky's young and underprivileged minds in hope of preparing them for the future. He's also an avid reader, writer, gamer, and amateur BBQ chef. His charity work includes being a faculty sponsor for the local chapter of Extra Life, an organization of gamers that raises money for children's hospitals. He currently lives with his wife Elana Scopa and a rather large black lab named Ozzy. Nicole Garneau is an interdisciplinary artist making site-specific performance and project art that is directly political, critically conscious, and community building. She is living in Central Kentucky and collaborating with Clear Creek Creative. Her book Performing Revolutionary: Art, Action, Activism will be published in Spring 2018 by Intellect. Nicole is on the Executive Committee of Alternate ROOTS. She holds a B.A. in Theater from the University of Illinois at Chicago and an M.A. in Interdisciplinary Art from Columbia College Chicago. She also makes ceremonies, facilitates meetings, throws parties, and does healing work. Her work is documented at nicolegarneau.com. Kaycee Gibson is from Horse Cave, KY, andgraduated from Western Kentucky University in December of 2016 with degrees in political science and international affairs. She is currently an AmeriCorps member currently serving the International Center of Kentucky as the volunteer coordinator. Kaycee applied for RUX because she thinks initiative of cohesion between Kentuckians is a fantastic way to promote unity and acceptance between neighbors near and far. Kaycee is looking forward to the music, art, and great conversation! Robert Gipe is the Appalachian Program Director at Southeast Kentucky Community & Technical College in Harlan County, Kentucky. He is one of the producers of the Higher Ground series of community performances. Gipe is the author of the novel Trampoline (Ohio Univ. Press, 2015), and is the former director of Educational Services at Appalshop, a media arts center in Whitesburg, Kentucky. He grew up in Kingsport, Tennessee and lives in Harlan, Kentucky. Erin Grace grew up on the same family tobacco farm in rural Oldham County where her mother, grandmother, great-grandfather and great-great-grandfather grew up. After graduating high school, she moved to Lexington to attend Transylvania University on an academic scholarship where she majored in Spanish and psychology. As a university student, she got her first taste of what would become a lifelong passion: international travel. She has lived in Mexico and Chile for months at a time and has traveled around several Latin American countries and Spain. After finishing her Master’s degree in education at the University of Kentucky, she taught Spanish for ten years at North Oldham High School and lived in Louisville. The 2016-17 marked Erin’s eleventh year as an educator and her first living and teaching in beautiful Rockcastle County. Besides teaching and traveling, Erin is also a musician who sings original alt-country style songs and plays Autoharp and piano. She is passionate about the need for ordinary people to step up and engage in the democratic process by being informed citizens, fighting alongside society’s most vulnerable and supporting good candidates for office. Jim Guthrie has been a registered Architect for 25 years, working at Hub + Weber nearly all of them. Through his career as an architect, he has extensive experience in problem solving, programming and building/construction issues. As President and Design Committee Chair of Renaissance Covington, Jim is involved with a variety of creative placemaking initiatives in Covington including, Covington Pops (popup shops), Art Off Pike (art fair), art is … (graffiti park project), Parking Day, Madlot (parking lot turned gathering space), Pike and Russell Rock Garden, CoSign, Curb’d, building mural projects, a sketch book exchange project, a community photobook project and a fight club of philanthropy. Jim is an ideal board member in his creative thinking but also in his willingness to fix the toilets when they don’t work. He is also a founding board member of the Design Review Board for Newport, a board member of Center for Great Neighborhoods and a past member of Covington’s Urban Design Review Board. Myron Hardesty, PA-C, M.H. is a licensed Physician Assistant and Medical Herbalist (M.H.) and has been practicing Clinical Herbalism through Weeds of Eden for over 15 years. He received his final certification through a master class in 1994 from the SouthWest School of Botanical Medicine. Under the esteemed directorship of the late Michael Moore he learned the medical arts of pharmacognosy, herbal therapeutics, medical botany, vitalist theory, constitutional energetics (western/eclectic model), and ethnobotany of the Southwest. Clinical Nutrition is a fundamental strategy in his healing model. To foster an Integrative medical paradigm, he matriculated into the Physician Assistant Program at the University of Kentucky in 2008, followed by a rural residency in Internal Medicine in Lebanon, KY.
Kristin Hatten is originally from the foothills of the Smoky Mountains in Tennessee, and found her way to Kentucky in 2014 when she began her graduate degree in English at the University of Louisville. Kristin has a passion for arts and culture, the power of the written word, and education. She currently works as a Communications Coordinator at a local property management company, focused largely on digital marketing and advertising strategies. While her job consistently has her focused on strategies to effectively communicate to a diverse audience, she is excited to continue to explore the ways we communicate and collaborate in a meaningful space with people who are committed to connecting and making change. In her spare time, Kristin enjoys cooking and working with flowers—both growing and designing—as an outlet for her creative energy. Anna Hess is the director of North Limestone MusicWorks, the newest, youngest ensemble of the Central Kentucky Youth Orchestras, and the first El Sistema-inspired program in Kentucky. Anna holds degrees from the University of Kentucky in violin performance and music education and is an active performer and teacher in Lexington, KY. Growing up in a musical household, Anna began her study of the violin at an early age, and her focus in recent years has been to share her passion for music with the youth of the region, first as an orchestra teacher in the public school system and most recently through CKYO as the Director of Community Programming and the associate conductor of the Preparatory String Orchestra. In addition to her work with CKYO, Anna maintains a private violin studio, performs with the Volare String Quartet and is a teacher with the Central Music Academy. Gerry James is the Director of the Explore Kentucky Initiative (EKI), an organization dedicated to inspiring people to engage in an active lifestyle fueled by adventure in Kentucky’s great outdoors. Gerry also serves a steering Committee member of the Kentucky Rural Urban Exchange, public policy liaison for the American Canoe Association’s Kentucky executive council, is a widely published outdoor adventure writer/photojournalist, and branding strategist for Mountain Tech Media, a start-up Appalachian based digital media agency. Gerry strives to advance the fields of adventure tourism, environmental advocacy, initiatives promoting diversity in the outdoors, photojournalism through an intersectional lens of art, energy, and community. Through this work, he has embedded himself in many Kentucky communities to work on various projects that tackle social justice, economic, and conservation issues. Recently Gerry was awarded Lexenomics’s Best of the Bluegrass Most Impactful Artist award for visual and socially engaged art. He is working to be accepted to Kentucky State University to pursue a masters of environmental studies starting in the fall semester of 2017. Chelsey Keesy grew up in Bardstown, KY and attended Eastern Kentucky University in Richmond. After graduating with a BS in Psychology, she worked for Radio Eye as the Studio Manager for 2 years, Bluegrass Council of the Blind for 2 years, and is currently back at Radio Eye as the part-time Development Director. She also owns a freelance business providing services to nonprofits. After living in Richmond, Georgetown, and Lexington, Chelsey and her husband have recently moved back to Nelson County. She still stays involved in the Lexington community as much as possible. Chelsey currently serves on the board for Be Bold and is on the Get on Board advisory committee. She is also on the scholarship committee of the Bluegrass Association of Fundraising Professionals and a member of the Lexington Lions Club. Mark Kidd facilitates community workshops and residencies that incorporate theater, low-cost media, and cultural organizing. In addition to his work as a founding member of Handbarrow, a team of artists and nonprofit community development practitioners based in Central Appalachia, Mark is an emeritus ensemble member of Appalshop’s Roadside Theater. Mark lives at the base of Pine Mountain in Whitesburg, Kentucky and on his family farm at Little Mud, Kentucky. Ryan Koch is the founder and director of Seedleaf. Ryan’s concerns for his community’s food access problems has helped to refine his vision for a network of free, open gardens and productive green spaces welcome to all neighbors. He lives with his wife and two children in Lexington. Maria T. Lewis is a Horse Cave, Kentucky native. She is graduate of Western Kentucky University with a Bachelor in Interdisciplinary Studies (BIS) with an emphasis in Organization and Communication of Ideas. Maria is a library assistant at Western Kentucky University’s Library Special Collections. She excited to step out her comfort zone, learn new things about Kentucky and getting to know people. She enjoys jewelry making (earrings) and spending time with family. Alix Mattingly grew up between corn stalks in a tiny western Kentucky town. She has a degree in photojournalism with a minor in folklore from Western Kentucky University and is currently a digital content creator for The Kentucky Center for the Performing Arts. You can usually find her making cool visuals for non-profits, concocting something delicious to eat or catching lightning bugs. Michaela Miles grew up on a small farm in the heart of rural Marion County, KY. She attended Campbellsville University, receiving a double bachelor’s degree in Mathematics and Political Science, before continuing on to receive her master’s degree at the Martin School of Public Policy and Administration at the University of Kentucky. During her two years at the Martin School, she had the opportunity to serve as an intern for the Lexington Fayette Urban County Government, as well as the Kentucky Office of Homeland Security, where she was awarded the title of Kentucky Colonel for her service to the Commonwealth. She is currently the Visitor Services Manager at the University of Kentucky Art Museum. She is passionate about good food, art, bourbon, pit bulls, and people. Cheyenne Mize, MT-BC, is a musician, music therapist, and Co-Executive Director of Strive. Since receiving her Bachelor of Music in Music Therapy from the University of Louisville in 2006, she has worked in a variety of settings as a Board Certified Music Therapist- serving everyone from neonates to the elderly. Although she is seen on a stage from time to time, her passion lies with using music and the arts to build and enrich the Louisville community. She received the Good Samaritan Award for her work at Kosair Children's Hospital in 2008, Best Singer/Songwriter in the 2013 Louisville Music Awards, and is the current Treasurer for the MT Association of Kentucky. Originally from Alexandria, Virginia, Sarah Morgan graduated with her Bachelors in Social Work this last May from the University of Louisville. Sarah has worked on numerous projects in Louisville focusing on food insecure neighborhoods and the need for health education, including implementing a community based diabetes clinic in a low-income food pantry. She has also worked with the Louisville non-profit New Roots, coordinating fresh fruits and vegetables from local growers to food insecure older adults. Through these projects, she saw how important fresh food access and community based agriculture was to improving the quality of life for people, their families, and their neighborhoods. Sarah is currently an AmeriCorps VISTA with the non-profit Louisville Grows, where she acts as Volunteer Coordinator, working with her community to create a more just and sustainable Louisville through urban agriculture and urban forestry efforts. Timothy Morton is a Louisville, Kentucky native and resident who is actively involved in filmmaking, old-time music, and shape-note singing. He works as a full-time crew member in Louisville’s historic park system. Tim has explored several facets of Kentucky life as an actor on local, award winning film productions. In “Men Go To Battle” Tim portrays a farmer in rural Kentucky in 1862 who joins the Union Army, and in his role in “Pilgrim Song,” he explores the natural beauty and modern day rural life of Kentucky’s Appalachian region. Musically, Tim is attracted to the sounds that are rooted in the region. He is a self-taught fiddle, banjo, and guitar player in traditional Old-Time style. He also sings shape-note music in The Sacred Harp tradition and is very active in that community. For the last 4 years Tim has been with the Louisville Olmsted Parks Conservancy, where his crew works to protect the natural integrity of the urban woodlands and preserve the vision of Frederick Law Olmsted’s historic design. These endeavors give Tim a unique perspective on what it means to be a Kentuckian for which he proudly identifies. Nicole Musgrave is currently working towards her Master’s degree in Folk Studies at Western Kentucky University. With the program’s emphasis on public folklore, Nicole is interested in learning how to practically apply the theories and methodologies of the discipline to address social and cultural issues at the community level. As of late, Nicole has been considering the ways in which people creatively respond to lack of access to food products. Recently, this has taken the form of conducting fieldwork in international grocery stores around Bowling Green, Kentucky. Nicole has also been exploring the role of film in her fieldwork and the ways in which it can facilitate research and presentation. Additionally, Nicole is interested in the intersection of foodways and healthcare, and the ways in which vernacular conceptions of health relate to foodways practices. After having lived in the Appalachian region of Southern Ohio, Nicole hopes to one day live and work in Appalachia again, putting her training in folklore to use at the local level. On the side, Nicole practices and teaches yoga, trail runs and mountain bikes, listens to and plays music, and works on various art projects. Kris Nonn has been with the NoLi CDC since June 2014, where his role is to oversee all design and construction aspects of NoLi CDC's programs and operations. Kris and his family relocated from Madison Wisconsin, where he had worked at KEE Architecture for the previous 6 years. After earning his Bachelor of Trumpet Performance at the University of Wisconsin-Madison in 2002, he went on to get his Masters of Architecture from the University of Tennessee in 2006. This, along with subsequent experiences designing and building his own house in Madison, as well as more experimental design & construction work done in Santa Elena Venezuela, combine to inform how he thinks of the built environment as a framework for and representation of the community's aspirations, history, individuality, beauty, and challenges. Emily Owen is 21 years old, and was born and raised in Crittenden County, Kentucky. She is currently a senior at the University of Southern Indiana pursuing a bachelor’s degree in Public Relations and Advertising. After graduating, she hope to enlist into the United States Navy. She enjoys kayaking, camping, playing soccer, and being outdoors in general. Jeremy Porter enjoys contemplating and participating in the relationships we all share with food, agriculture, and ecology in Kentucky. With an education in anthropology and a background in church work, his introduction into this vocation began on small-scale Community Supported Agriculture farms. Through deep listening, his attention is drawn to whole-person and whole-system practices that lead to healthy communities. He is the Director of the Tweens Nutrition and Fitness Coalition, an equity-focused community coalition working to create a culture of health in Lexington and throughout Kentucky. Jeremy, his wife Karissa, and their two kids live in, love, and care for their "tiny patch of earth" in the Castlewood neighborhood of Lexington. Karissa has worked for KY Refugee Ministries since 2005. Neil Purcell has worked in television since early on in high school. What started out as a fun hobby turned into a BA in Broadcasting and a mission to discover local stories. Neil currently works at the WKU PBS station in Bowling Green where he is tasked with finding unique Kentuckian experiences and sharing them with their audience and beyond. Neil grew up in Fancy Farm and has experienced life in Kentucky everywhere from an unincorporated village to the city. When he’s not working with a camera he prefer to be outside hiking the backwoods or enjoying any of Kentucky's many festivals. Growing up rock hopping in the Blue Ridge Mountains, Rachel Reyes is thrilled to deepen her roots in Kentucky soil through shared experiences with homegrown KYRUX folks. Still relatively new to Lou, she’s come to know and love the area thanks to organizations like Louisville Showing Up for Racial Justice, Kentuckians For The Commonwealth, University of Louisville, Tichu Club, and now Kentucky Rural-Urban Exchange. With a master’s degree in clinical psychology, she spent a number of years researching children and memory, ADHD in children, and quality of life in nursing homes. Now a recovering academic, she enjoys studying herbalism, board gaming, and throwing Kentucky clay on the wheel. Candice Rider, a Kentucky transplant by way of Arizona, fell in love with the Bluegrass State’s lush landscapes and engaged residents. She is inspired by the outstanding work organizers, advocates, and activists are doing to move Kentucky and Appalachia forward in an inclusive, just way. With an educational background in physics, astronomy, and public policy, Candice is analytical, meticulous, and naturally curious. A proud member and volunteer with Kentuckians for the Commonwealth, she also lends her time to a variety of nonprofits including the Lyric Theatre and Cultural Arts Center, Be Bold, Lexington United, and the Kentucky Hemp Industries Association. She is an avid supporter and advocate for industrial hemp as a robust, environmentally friendly opportunity to grow the Kentucky and US economies. Ms. Rider currently works for Thomas P. Miller & Associates, a consulting firm providing economic development, workforce development, education, and philanthropic advisory and management services to communities and organizations throughout the country. Currently living in rural Harlan County, KY, Kristie Rodgers is an recent recipient of the Appalachian Transition Fellowship. She is also a cast member of the most recent"Higher Ground" production, and a non-traditional college student pursing degrees in clinical psychology and Appalachian studies. Kristie is also an emerging visual artist specializing in emotional impressions through acrylic paintings, exhibiting her work extensively in Seattle and Boston for the past 12 years. She is a community organizer and leader for several grassroots campaigns including fighting for homeless rights, food justice, gmo labeling, and a wide variety of other environmental and social justice causes. A divorced mom of 3 adult sons, and 2 feline furbabies, Kristie enjoys church and community activities, as well as wildcrafting, amateur entomology, writing poetry, cooking, listening to an eclectic mix of music, antiquing, travel, fine chocolate, and, of course, cheese. Elaine Russell grew up around the dinner table, with a large family in Louisville, KY. This is where she learned her manners, how to tell stories, and a love for kale. Today, Elaine is a registered dietitian and holds a Master’s degree in Community Nutrition from Eastern Kentucky University. She is a program coordinator at the Kentucky Department for Public Health and leads the Partnership for a Fit Kentucky, a statewide network that focuses on improving access to healthy foods and physical activity. Her upbringing, education and experience leads her to believe that the power of food goes far beyond the influence of our health. She believes food has the ability to bring people together, describe a culture, build local economies and soothe your soul. Salvador Sanchez is the owner of A Cup of Common Wealth, Chocolate Holler, & Magic Beans Coffee Roasters and co-owner of Alfalfa restaurant. With over 15 years experience in the coffee industry, Sanchez consults for beverage companies, both coffee and non-coffee related. He serves on the Lexington's Chamber of Commerce's Emerge Steering Committee, Bluegrass Community Foundation 365 Steering Committee, and on the Advisory Board of Downtown Lexington's Management District. Prior to opening A Cup of Common Wealth, Sanchez has served as Director of Coffee and Customer Experience, Director of Cafes, Regional Manager, Senior Manager of Cafes, Operations Manager, Training Manager and Operations Coordinator for several companies in Michigan, Texas and Colorado, where he has been responsible for the operations, marketing, merchandising, purchasing, training, human resources, finance and strategic initiatives of up to 150 stores. Sanchez holds a Bachelors of Arts and Sciences degree in Creative Writing, Business Management, and Spanish Literature. Stephanie Self is the Transfer Advisor for Madisonville Community College. She grew up in Corydon, Kentucky, a small rural town in Henderson Co. She received both her MA in Education and her BA in Political Science from Western Kentucky University. Stephanie has extensive experience in the hospitality field – hotel, restaurant and events management. In 2008, after completing her Master’s degree, she moved to Juneau, Alaska, where she served as the Director of Residence Life for University of Alaska Southeast. Living in Alaska would be life-changing experience for her – with its rugged beauty, its interwoven cultural influences, and the self-sufficient pride of its people, along with strong communal emphases on cooperation and sustainability. In many ways, Alaska reminded her of home – the Kentucky of her childhood, when people seemed more connected to the land as well as to each other. She feels that finding ways to help people connect (and re-connect) meaningfully, while allowing them to maintain their integrity as individuals, is so very important as these connections become the catalyst for cooperation, consensus building and change. Stephanie currently resides in Corydon, with her Eilley, her Alaskan Malamute, and her two cats, Nina and Mollie. Mitzi Sinnott is a multi-disciplinary artist and creator of the internationally acclaimed andPBS television broadcast solo play “SNAPSHOT: a true story of love interrupted by invasion.” In SNAPSHOT Mitzi shares her literal and figurative journey to reconcile with her father, a veteran haunted by his experience in Vietnam. As the biracial daughter of a black man and white woman from Central Appalachia. Mitzi received a Best Actress Nomination from The STAGE at the Edinburgh Fringe Festival -Scotland. While in Edinburgh, she received a special invitation to present SNAPSHOT at the Cape Town Festival in South Africa and the European Women's Theatre Festival in Tornio Finland-Haparanda Sweden. She is a two-time recipient of the Arts Meets Activism Grant from the Kentucky Foundation for Women and the Brooklyn Arts Council Individual Artists Award. Recently she was juried onto the 2015-2016 Kentucky State Artist Roster. A native of Lexington, KY, Ashley C. Smith graduated from the University of Kentucky in 2008 with a Bachelor of Arts degree in Sociology. As the first Development Coordinator at the Lyric Theatre and Cultural Arts Center, Smith brings her track record for producing success. Under her leadership, The Lyric has secured partnerships with leading companies such as Forcht Bank, EHI Consultants, Toyota Manufacturing, PNC Bank, LG&E/KU Foundation, Keeneland Foundation, PNC, and the University of Kentucky. She is tasked to present and produce fundraising efforts through grant writing, program development, and cultivating strategic partnerships. Smith refines her development skills and public service as an Ethical Redevelopment Salon member, Kentucky State University President’s Advisory Board member, and past Scholarship Chair for the Bluegrass Chapter of the Association of Fundraising Professionals. In addition, her leadership also includes serving on the Management Team for the crave food + music festival and Steering Committee member for the Kentucky Rural Urban Exchange. Emily Pike Stewart is a fourth (or more?) generation Kentuckian who has lived in Louisville, Lexington, and Bowling Green and has family in Owensboro. Emily earned her BFA in Drama from New York University and for the past decade has performed in New York and regionally, taught acting nationally and internationally, designed workshops using theatre as a tool for social change, and created hundreds of audio books. Emily also teaches Sivananda yoga and has been attempting to go vegan since about 2003. She's a member of the National Federation of the Blind and is dedicated to supporting the rights of all people with disabilities. Emily is currently very happy to reside in Bowling Green along with her favorite person, husband, and Daredevil doppelganger Chris and their consummate professional of a dog, Baron. Christian Torp is a local attorney, missionary, urban farmer, writer, foster parent and advocate for social change. He came to Kentucky in 2002 to attend the University of Kentucky College of Law after obtaining a B.S. from Cornell University. Following his first year of law school Christian was involved in a nearly fatal motorcycle collision in which he sustained a traumatic brain injury and lost the use of his right arm. Despite these setbacks he was able to finish law school and gain admission the bar. Such experiences have changed his life’s paradigm and he seeks to use the skills he has been blessed with to partner with the poor, the oppressed and the least of these. Tanya Torp, CVA is a local activist, community organizer, motivational speaker, trainer, and entrepreneur, and is most passionate about empowering others for the collective good. Her full time job as Executive Director at Step By Step, Inc encourages and equips young single mothers between the ages of 14 and 24 with life skills, while encouraging them to dream outside of their circumstances. She is also the founder and CEO of Be Bold, which enables young women ages 9 to 18 to realize their full potential by encouraging them to break stereotypes and become leaders in their own community. Tanya Torp also works for food justice in her food desert neighborhood as an ambassador (along with her husband) for GleanKY (formerly Faith Feeds). Their weekly open-to-the-community "Heinz Breakfast" gatherings began as a way to connect different members of the community and to foster diversity and inclusion, and are a mainstay and popular destination. Tanya Torp lives in the East End Neighborhood of Lexington, KY with her husband, Civil Rights attorney Christian Torp, their foster son, and their two precocious cats. Joshua Trosper lives in Barbourville, Kentucky, and is the current Assistant Principal in charge of school culture, attendance, and discipline at Knox Central High School. Joshua was born in Middlesboro, KY to a coal miner father and stay at home mother. He graduated from Middlesboro High School in 1999, Campbellsville University in 2003, and Union College in 2008. Joshua and his wife, Christina, have 3 children; Seth, 20 who lives and works in Covington, KY, Harrison is 8 and will enter the 4th grade, Caroline is 4 and will enter Kindergarten this year. Alexander Amitai Fletcher Sargent Udis is a resident of Louisville, Ky. His people are from East Kentucky and Dayton, Ohio. Alexander worked for many years in community gardens with Louisville's refugee population through the Americana Community Center. He has worked in environmental education and formal education in Louisville. He is a traditional Square Dance caller and organizer of the Louisville Old Time Squares Association that puts on and promotes traditional Square Dance in and around Louisville. Alexander received his B.A. in Cultural Anthropology from the University of Louisville and currently hopes to pursue a Masters in Education, a license as an Auctioneer, and the filming of a documentary on Randy Wilson of the Hindman Settlement School and his work in Cultural Education in Knott County Public Schools in East Kentucky. Raabia Wazir was born and raised in Charleston, West Virginia. She studied agricultural biotechnology at the University of Kentucky as an undergraduate, and later worked with a Muslim civil liberties organization in Washington, D.C. Raabia returned to Lexington in 2010 to attend the University of Kentucky College of Law, and has practiced as an attorney in Pikeville, Kentucky, with the law offices of Gary C. Johnson, P.S.C since 2013. Raabia is also a lead organizer for Pikeville for Equality, an organization dedicated to promoting tolerance and diversity in Eastern Kentucky. She enjoys photography, cooking, traveling, and spoiling her geriatric hound dog. Jenny Williams is the Chair of Pathfinders of Perry County, a non-profit citizens action group that promotes community well-being, engagement, outdoor recreation and education. The youngest of six siblings, all of whom still live in Hazard, Jenny grew up in Hazard and is deeply rooted in the community. She has been teaching writing and reading at Hazard Community and Technical College since 1992, a job she loves because it affords her the opportunity to share her interests and ideas with students. She co-hosted “What’s Cookin’ Now: The World’s Only LIVE Radio Cooking Show (That We Know OF)” for six years and is passionate about food—eating it, cooking it, sharing it, and trying to change policies and behaviors so that everybody, regardless of income, age, or geography, has access to fresh, healthy, local food and knows what to do with it. Jenny also loves to spend time outside, hiking and playing with anybody who’ll come along. Finnley Willow hails from Keokee, Virginia on the Harlan County border. He is a Highlander Appalachian Economic Transition Fellow working with Higher Ground Group in Harlan County, Kentucky. His main interests are using art as a tool to bridge and connect community and spreading awareness round the environmental and ethical impacts of a plant based diet, creating awareness around conscious consumerism, and learning new ways to connect community. Shannon Worden has lived in Hopkinsville, Christian County since middle school in the early 90's, when his father retired from the Ft. Campbell Army base and his family chose Hopkinsville as their home. He has been married to his wife Angie since 2005, and they have an awesome 6 year old boy, Bryce. Shannon tells us that Bryce is his world, and that everything he does has some sort of intention to better his world in some fashion. Shannon was inspired by the Bernie Sanders campaign for the Democratic nomination for the Presidency, which led to a deeper interest and investment of his time into politics. Now is an exciting time for Shannon, as he spearheaded the revival of a new Young Democrats club in Hopkinsville. The same evening he was elected President of the group he came home to the news that his wife is expecting. Shannon is excited to attend the state Young Democrats convention and about his son’s kindergarten graduation, and to become a member of the Kentucky Rural Urban Exchange. Richard Young is a community development practitioner, artist, and organizational development consultant living in Lexington, Kentucky. He co-founded Lexington’s first place-based community development corporation, the North Limestone CDC, and served as Executive Director for 3 years growing it from its start to a multi-million dollar organization. In 2016, he was named an Emerging City Champion by the 8-80 Cities and John S and James L Knight Foundation, was awarded the first-ever “One to Watch” award from the Lexington Forum and Lexington Mayor’s Office, and is currently a research fellow at the University of Kentucky Community Innovation Lab studying the intersection of conservatory-level music training and community development ethics and practice.